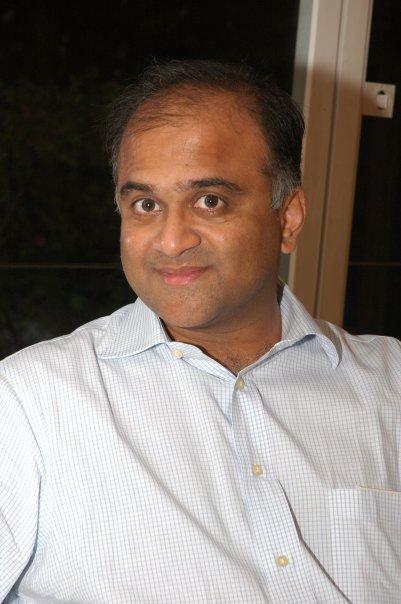 Mr. Shah is the founder of MBS Mantra, and the Chief Investment Officer and Portfolio Manager. 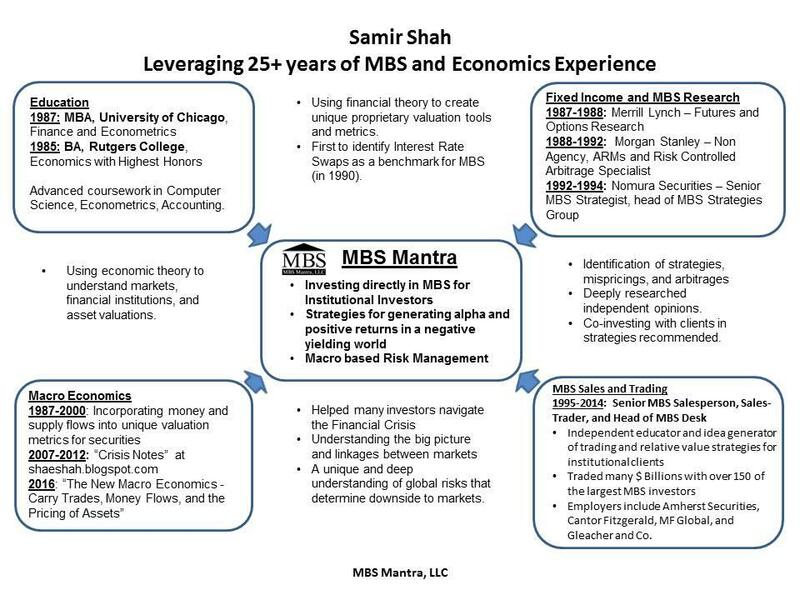 Mr. Shah is an independent thinker and experienced MBS/Fixed Income market participant. His core strengths lie in understanding the big picture, identifying and understanding linkages that more narrowly focused market participants do not see, and converting them into strategies. His unique research, valuation tools, and market commentaries reflect his broad understanding of economics, securities markets, and flows of capital. Since 2006, he has become an expert in the macro-economic relationship between Japan and the US, that has facilitated his understanding of the financial crisis and current investment market conditions, and gives him an insight into asset valuation and risk. His prescient Crisis Notes during the Financial Crisis were broadly read and can be found on MBS Mantra's website, alongside his current commentaries. Mr. Shah's macro-economic expertise and ongoing research can be translated into broader investment themes and strategies. MBS Mantra, LLC was founded in 2013 and seeks to achieve superior returns by identifying and investing in undervalued MBS sectors and bonds. MBS Mantra believes that the majority of excess returns derive from current cashflow returns, and prefers bonds where the majority of the returns come from current cashflow, (and not from expectations of future price appreciation). MBS Mantra has developed analytics and processes to identify such bonds and sectors. This should be of great value to long only Pension investors, Endowments, and Family Offices. MBS Mantra is currently seeking investors. Mr. Shah has been involved in MBS and Financial Services since the late 1980s, first in Research and Strategies, which he left in 1994 due to its lack of independence. He continued providing research and strategies privately to his institutional clients as a Salesman and Trader. He has cyclically specialized in most sectors of the MBS and CMBS market, often co-purchasing his own recommendations alongside his clients, and has covered and traded with hundreds of institutional clients. His prior employers include, Merrill Lynch, Morgan Stanley, Nomura Securities, Amherst Securities, Cantor Fitzgerald and MF Global. He has created and identified many 'Alpha-generating' and radical concepts, such as using LIBOR as the benchmark for OAS analysis of MBS in 1990, and using arbitrage pricing to value bonds, identifying many trade, strategies, and mispricings that were durable opportunities that often lasted many years, generating outperformance for his clients. Mr. Shah has an MBA in Finance (1987) from the University of Chicago Graduate School of Business (now Booth), and a BA in Economics (1985) from Rutgers College, Rutgers University, with extensive coursework in Computer Science, Econometrics, and Accounting.